What is the “Cold Laser”? 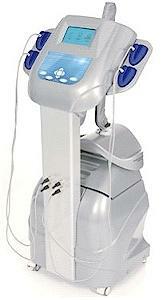 Cold Laser is a Low Level Laser Therapy and refers to the use of low powered laser light. It has also been referred to as “Cold Laser” or “biostimulation Laser”. It is used to stimulate a biological process. Just as plants exposed to normal sunlight synthesize carbohydrates in their chlorophyll containing tissues (photosynthesis), laser light stimulates the formation and release of our body’s own chemical compounds. In low level laser therapy, the infrared laser energy has a stimulating effect on tissues because it increases cellular energy. Cold Laser stimulates the production of collagen, the common protein found in the body and also stimulates the lymphatic flow, helping to eliminate toxins and excess fluids from the tissues. Studies have shown that the diameter of lymph vessels and accompanying lymph flow can be doubled with the use of light therapy. This increases the activity of the fibroblasts in the connective tissue that are capable of forming collagen, and will aid in the repair process, stimulating proper tissue granulation, which is part of the healing process of inflamed tissue, such as acne breakouts. Cold Laser generates a low power “cold” energy which does not cause thermal changes in skin tissue. It produces a stimulative effect rather than a destructive one. 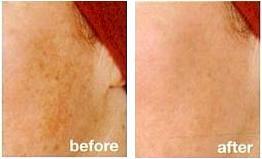 Hot lasers give an ability to cause thermal changes which poses a hazard and can potentially destroy skin tissue. Cold Laser is safe even if used for long periods of time. It combines electric current (Micronized currents and High Frequency Polarized currents) and light energy with the exclusive feature of selective ionization products with biochemical and photo energy properties. Low Level Laser Therapy is an effective therapy that works in harmony with the body’s own healing and pain relieving mechanisms. There are no harmful side effects from this type of laser therapy. The Soli-Tone is a unique skin rejuvenation device that uses light therapy and special currents to turn back the clock on aging, sun-damaged skin, minor acne, redness, and uneven pigmentation. This multi-platform system features to distinct facial treatments: the LumiLift® and the LumiFacial®. Simultaneous application of these technologies mutually enhances their individual effectiveness, promoting cellular rejuvenation from within. Results are immediate and visible. Aging occurs on three levels: epidermal, dermal, and in the muscle tissue beneath, producing dehydration lines, dull and lifeless complexion, expression wrinkles, deep wrinkles around the lips, frown lines, sagging jowls and naso-labial fold. Soli-Tone reaches down into all three levels to rejuvenate skin tissue and lift muscles, erasing years… something that light alone cannot do. How does the LumiLift treatment work ? The LumiLift® procedure is a revolutionary way of rejuvenating the skin and lifting sagging muscles. It is performed with two (2) special electrodes that feature an advanced application of Micronized current and Light energy. During the LumiLift® treatment, a pulsating light is directed at the skin surface. Light passes through the layers of the skin and penetrates into the dermis. This powerful light stimulates the fibroblast cell to produce more collagen. The increased production of collagen smoothes and softens the appearance of wrinkles, reduces the size of pores, and improves skin texture. At the same time, the electrodes emit Micronized currents to tone and lift sagging muscles. At the end of the treatment, an antioxidant product is infused into your skin using two (2) smoothing electrodes. The esthetician uses a gentle, ironing motion to smooth away fine lines and wrinkles. Micronized currents are non-invasive. They stimulate and resemble the biological currents that your body produces to tighten muscles. Extensive clinical research has shown that these currents are able to lift and tone the muscles. Combining Light Therapy and Micronized currents erases years from the appearance of your skin without the use drastic and painful surgical procedures. 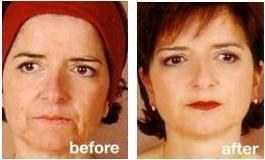 LumiLift® restores a natural, youthful appearance to the skin. What is the LumiFacial and how does it work? The LumiFacial® targets common skin problems, such as minor acne, redness, and uneven pigmentation. During the treatment, a wrap-around facial panel is positioned in front of your face. The Soli-Tone selects the specific Light energy required for your skin type and condition. At the and of the treatment, the esthetician will apply special products using a polarized current. This final step enhances the penetration of these products and promotes their effectiveness. When treatment is completed, you can immediately return to your normal routine with no redness or peeling. 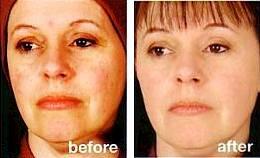 The LumiFacial treatment combines the application & interaction of four different colors … not just one. Blue light at 470 nm. 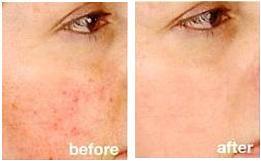 Improves acne prone skin. It penetrates into the superficial dermis and has a calming and regulating effect on the sebaceous gland. Green light at 525 nm. Decreases melanin production, reduces pigmentation and eliminates the redness associated with the use of chemical peel and bleaching products. Yellow light at 590 nm. Treats redness and is also used for its healing, draining and detoxifying properties. It is absorbed by the body fluids in the lymph & blood circulatory systems and promotes wound healing. It increases lymphatic flow to evacuate more waste products and boosts cellular activity. Red light at 640 nm. Increases collagen production by 5 fold in the skin, triggering repair mechanisms and stimulating fibroblast cells and cell growth. It increases circulation and speeds up the healing process by carrying more oxygen and nutrients to the skin. Red spectrum light is absorbed by all skin layers especially the DERMIS. How does the treatment feel ? The treatment is very comfortable; most clients fall asleep during the procedure. Unlike laser or IPL (Intense Pulsed Light) treatments that rely on thermal damage, LumiLift® and LumiFacial® treatments are non-invasive and totally natural. They use light from the visible spectrum, similar to sunlight but without the harmful UV rays. While clients usually report a noticeable improvement after just one treatment, a series may be required. Generally, 6 to 15 treatments achieve optimal results. The improvement can be quite dramatic. Most clients see immediate improvement. 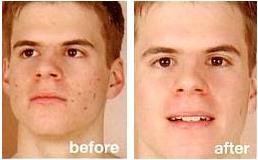 With a series of treatment, years are easily removed from the appearance of the skin. You will see younger-looking skin, reduction in fine lines and wrinkles, increased skin elasticity and redefined and firmer facial contour. Pore size is improved a long with textural irregularities, acne, and pigmentation blemishes. How long will the effects of the LumiLiftprocedure last ? Improvements continue for at least three (3) months after a single session. After completing a series, depending on the rate of the aging process, changes can last over one year. A good skin care regimen combined with a monthly maintenance treatment is sufficient to enhance and maintain the result of obtain with the LumiLift® treatment.